There is one three-row crossover SUV that beats out its competitors in every category, especially the fun category. That SUV is the 2018 Dodge Durango. Not only does the Durango give you the advantage of three-rows of seating, but you’ll also get an unprecedented amount of power that will leave you wanting to take the long way home. 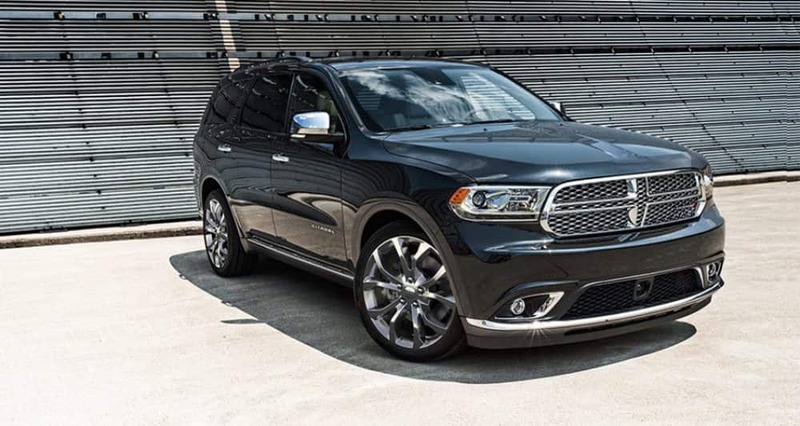 Another perk of the 2018 Durango are the five trim level options that you have to choose from. Each of them is unique in their own right and give you the choice to figure out which one best suits you as an individual or your family. Continue to read down below to learn about the SXT, GT, Citadel, R/T, and SRT trim levels. The first trim offered with the Durango is the SXT. 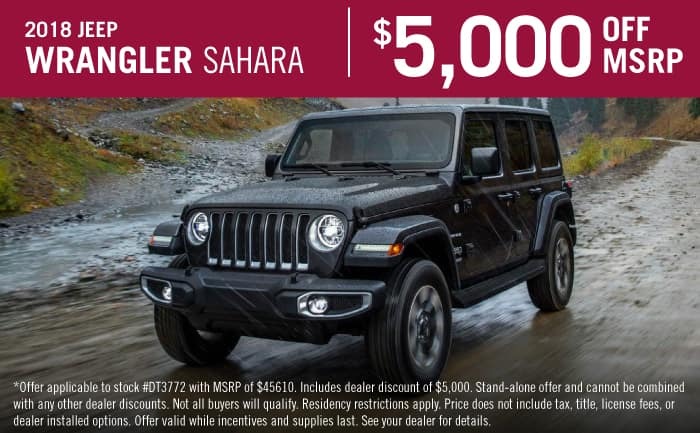 This trim comes with a 3.6-liter V6 engine, that is paired with an 8-speed automatic transmission and produces 260 lb-ft of torque and 293 horsepower. The standard features include a 50/50-split folding third-row seat, Bluetooth, a 6-speaker sound system, 18-inch alloy wheels, three-zone climate control, a load-leveling rear suspension, Apple CarPlay and Android Auto, keyless entry and ignition, heated mirrors, dual USB ports, a 60/40-split folding and reclining 2nd-row seat, cloth upholstery, and a 7-inch touchscreen interface. The next option available is the GT. This trim will gain you even more features like a 115-volt power outlet, remote start, satellite radio, rear parking sensors, power-adjustable front seats, heated front and second-row seats, leather and suede upholstery, a heated steering wheel, a power liftgate, driver-position memory settings, and 20-inch wheels. Looking for more features? The Citadel is the perfect option. You get the choice to add on an optional Anodized Platinum appearance package that gives you special interior trim, and upgraded leather upholstery with silver accent stitching. The standard features you’ll find include roof-rail crossbars, HD radio, a power-adjustable steering column, a sunroof, ventilated front seats, automatic high beams, Uconnect 8.4-inch touchscreen interface, a power-adjustable passenger seat, upgraded leather upholstery, automatic wipers, xenon headlights, additional leather trim, a navigation system, and a 9-speaker audio system. As one of the highest trim options, the R/T comes with many amazing standard features, along with a powerful engine. The engine is a 5.7-liter V8, creating 360 horsepower and 390 lb-ft of torque. You get features like a performance hood design, an upgraded steering system, red accent stitching, a sport-tuned suspension, a Beats audio system, LED fog lights, and the possibility of adding a sunroof or roof rails. This powerhouse of a trim comes with a 6.4-liter V8 engine that can produce 470 pound-feet of torque and 475 horsepower. It comes standard with SRT Performance Pages, performance-tuned steering, a driver’s session at the SRT Track Experience driving school, an adaptive suspension, and an electronically controlled limited-slip differential. You can add more options like the Technology Group package, the SRT Interior Appearance Group package, the rear entertainment system, a sunroof, and upgrade Laguna leather upholstery. These trim levels give off unique vibes that are perfect to express individuality. If any of them are calling to you, then you need to check out our 2018 Dodge Durango inventory!